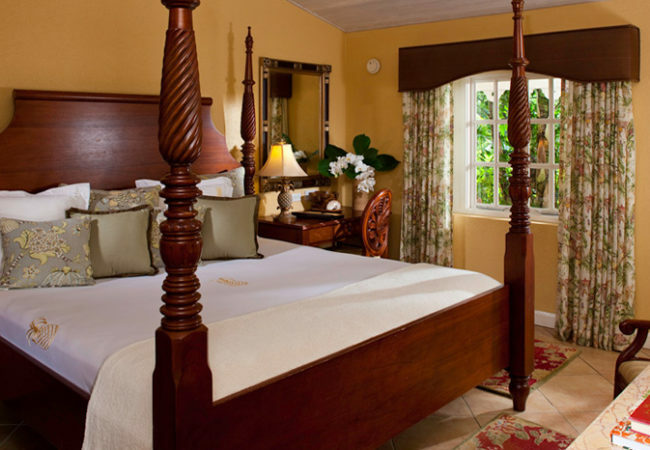 Welcome to the most ROMANTIC resort in the world Sandals Grand Antigua, in St John, Antigua! 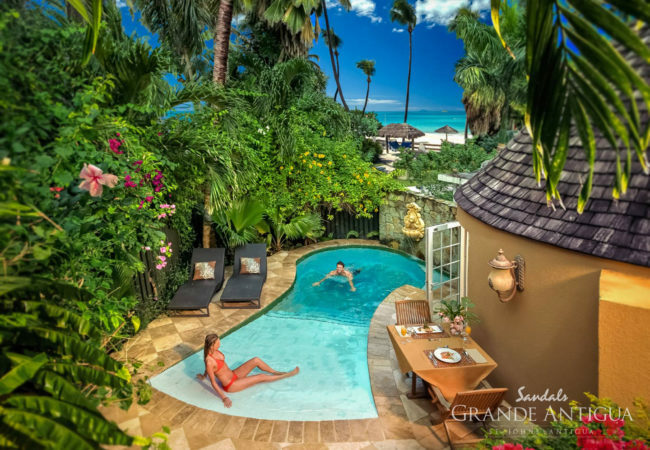 Voted the “World’s Most Romantic Resort”, year after year, Sandals Grande Antigua offers you the best of two worlds – the authentic Caribbean and the stylish Mediterranean – in one legendary all-inclusive vacation. Set on Antigua’s best and most famous beach, Dickenson Bay, the resort’s charming seaside garden oasis known as the Caribbean Grove is graced by meandering pathways, majestic palms and cooling Trade winds. Then step into a realm of chic sophistication where European grandeur unfolds from the hillside to villas-by-the-sea at the Six-Star, all-suite Mediterranean Village. Come relax on silky-soft, pure white sands and let the warmth of the Caribbean fill your senses. Sandals Grande Antigua is home to the most beautiful and longest white-sand beach in Antigua – Dickenson Beach. Located just steps from the beach in the Caribbean Beachfront Village, these exceptional Love Nest Suites� feature a soaring 20-foot conical ceiling, a custom mahogany bed, fully-stocked bar with premium spirits, flat screen TV, and a garden patio featuring a lavish private pool sanctuary. Located just steps from the beach on the ground floor of the Frangipani building, this spacious suite showcases stunning views of Dickenson Bay from a private patio. 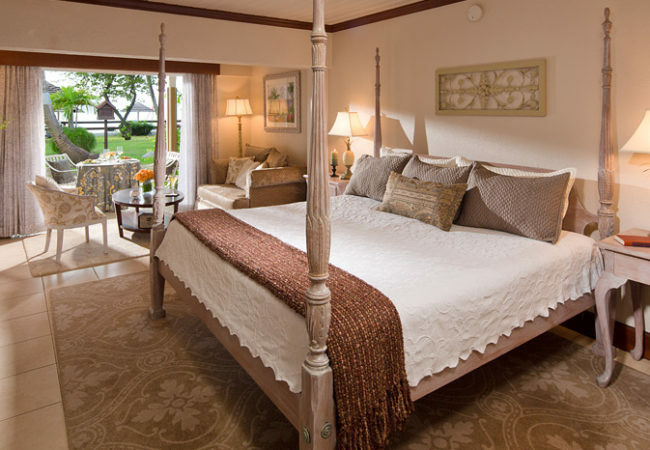 The suite features a four-poster, king-size bed, flat screen TV, and an en-suite bathroom complete with a bathtub/shower combination and marble vanity.